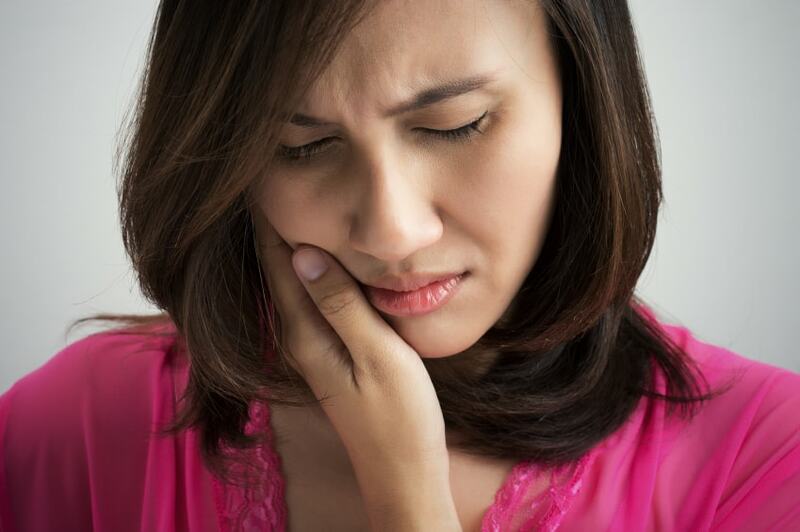 Your temporomandibular joints, commonly called the TMJ, are an important feature of your mouth. These joints, which are located on each side of your face, are the points at which your lower jaw meets your skull. They, along with the attached muscles, ligaments and bones, are responsible for the movements of your mouth, including opening and closing as well as moving the mandible from side to side. Each joint has a disc, which is set between a ball and socket, that absorbs the impacts placed upon it. Issues with your TMJ can lead to irritation and inflammation, which can then result in serious discomfort and reduced quality of life. Clark Family Dental can help. • Jaw dislocation. Even dislocation that lasts only a few seconds can irritate. • Bruxism, or the clenching and grinding of your teeth. • Osteoarthritis and rheumatoid arthritis. Osteoarthritis is the weakening of your cartilage. Rheumatoid arthritis causes inflammation in the joints. • Severe pain in your joints, your jaw, and your face. • Trouble, and often pain, opening and closing your mouth. • Having difficulty eating and speaking. • Clicking, popping or grinding sensations in the joints. • Lockjaw. This is a condition in which your jaw locks open or shut temporarily, leaving you unable to move it. • Headaches. Chronic headaches often result from TMJ disorder because the stresses placed on the jaws radiate to other areas of the skull. • Earaches. The ears, which are located near the joints, often experience pain due to the radiation of the jaw pain to the teeth. To diagnose, and then provide appropriate treatment for your TMJ disorder, we first need to conduct a thorough consultation. During your consultation, we check the condition of your teeth, assessing alignment and wear patterns. We also take digital images, which may be in the form of X-rays, CT scans, CAT scans or 3D scans. These images are essential for enabling us to see the jawbone, the roots of your teeth, the muscles, and the joints. With a full picture of your entire mouth, we can create an accurate diagnosis and recommend the best treatments to suit your needs. There are some different treatments available for TMJ disorder. One or more of these recommendations may be recommended. • Homecare. There are several home remedies that may prove effective for minor TMJ discomfort. These remedies include over the counter pain relievers, heat and ice packs, maintaining a diet of soft foods or practicing techniques that promote relaxation. • Oral appliances. An oral appliance is a custom fit device that is worn while you sleep. It works to hold your jaw in proper alignment and absorbs the impacts placed upon your teeth and jaws when you grind and clench. This is often recommended in cases of bruxism. • Botox injections. Botox, commonly associated with cosmetic treatment, can be used to relax the muscles in your jaw, preventing clenching. • Orthodontics. Orthodontic appliances, such as braces, can be used to correct alignment issues of your teeth and your jaws. • Surgery. Surgery is used as a last resort when no other treatments have worked. With a proper diagnosis, and the right treatment, your TMJ pain can be alleviated, and your overall quality of life restored. If your TMJ is causing you severe discomfort, call Clark Family Dental to schedule your consultation today at (541) 604-2900.